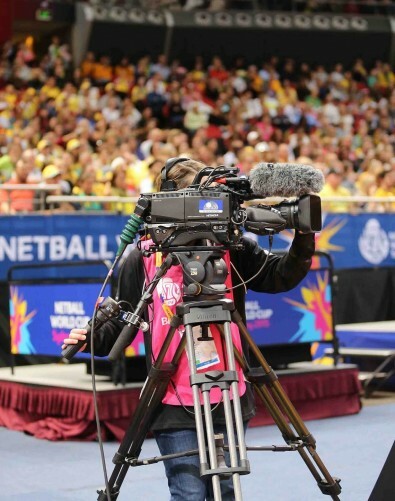 Gearhouse Broadcast acted as host broadcaster in collaboration with McGuire Media as production service provider, for the Netball World Cup Sydney 2015 where the Australian Diamonds emerged as World Champions. From 7-16 August 2015, the world’s top 16 netball nations gathered in Sydney for the 14th edition of the Netball World Cup (formerly World Netball Championships). Held every four years since 1963, Netball World Cup is the pinnacle event for international netball. Held at AllPhones Arena and the brand new Netball Central venues in Homebush the Netball World Cup (NWC) was played out over three main courts and Gearhouse Broadcast, having won the tender for host broadcaster, provided the complete TV coverage of all games from the group stages to the final. Gearhouse not only produced the TV coverage but also providing all the broadcast and unilateral facilities for local broadcasters Network Ten and Fox Sports. As well as local feeds the coverage was then delivered to a teleport for satellite distribution to broadcasters all over the world. As part of its technical offering Gearhouse provided three mobile OB broadcast facilities, power generators, 16 Hitachi SKHD1200 and SKHD1500 HD and slow motion cameras, the latest in RF cameras and Steadicams, 40 channels of EVS via XT3s, all audio effects and umpire mics and the production of all graphics via six Namadgi graphics systems. Gearhouse Broadcast also provides technical equipment, facilities and expertise for the ANZ Netball Championship and all Australian Netball international test matches.